What Type of Conveyor System Best Suits Your Business? Tubular drag conveyors might work best if equipment size and space utilization is a critical factor for you. On the other hand, bucket conveyors are a more efficient choice if you have more space and need to move large amounts of materials. Aeromechanical conveyors. These conveyors are best for handling bulk powders. They move products on a fluidized air stream and are efficient in terms of their ratio of energy consumption to capacity. Another advantage is that moving products on a fluidized air stream may help product flow in downstream processes. However, the drawback to aeromechanical conveyors is their moderate- to-high maintenance requirements, and they require regular adjustment and inspection of the rope assembly. Belt conveyors. Belt conveyors can move large amounts of materials over long distances. However, they have one huge drawback: They take up more floor space than any other conveying system. Bucket conveyors. Bucket conveyors can also move large amounts of material effectively and efficiently but, depending on their design, they may not be good for fragile materials. These conveyor systems also require a lot of floor space. Flexible screw conveyors. These conveyors are simpler, lower cost and require a smaller space than other systems. They also work well for moving a wide range of materials. But they are notorious for their poor ratio of energy consumption to equipment capacity. And they have a tendency to degrade or damage materials that crumble or break apart easily. This can result in losses. Pneumatic conveyors. Pneumatic conveyors come in dense and dilute phase technologies. Both types have a higher ratio of horsepower to capacity, which means that they are less energy-efficient then mechanical conveyor systems. Pneumatic conveyors also have a higher rate of wear and tear and high maintenance requirements. These conveyors also require larger dust collection systems than mechanical conveyors because the material to be moved must be separated from the air used within the system. Tubular drag conveyors. These conveyors have lower energy requirements as well as a lower rate of wear and decreased maintenance requirements. This means cost savings that more than offset the higher price normally associated with these types of conveyors. Each conveying technology has its strengths and weaknesses.You should choose the best conveyor system for you based on your needs and the materials you need to move. Trust KC Supply Co. for all your conveyor belting needs. 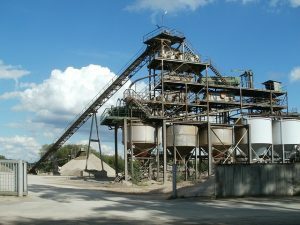 To find out more about which conveyor system might work best for you, call us at 800.KC.SUPPLY or visit www.kcsupply.com.